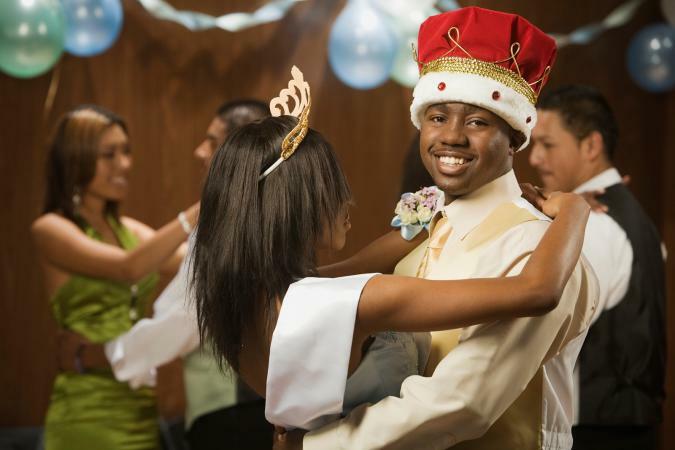 Being chosen as prom king involves much more than popularity. The proper candidate needs to have an edge above all other potential prom kings; he can't be just another handsome face in the crowd. For the best chance of becoming prom king, take a proactive stance. Customize your strategy to fit your needs so you can get your name out there. The easiest way to get people to nominate and vote for you is to have your friends help you out. Have your friends start talking to other people about why voting for you is a great idea. Take advantage of the power of word-of-mouth and make sure whoever helps you totally supports voting for you as prom king. Keep in mind the best way to get people talking is to have whoever is promoting your name to do so in a genuine way. If you're able to, put on mini-events that showcase who you are and what you like. These can include impromptu dance parties, musical performances performed by you or classmates, or a quick comedy show. These can be done after school, or potentially during lunch if your school approves of it. If you aren't performing and a classmate is, be sure to have them promote you at the end of their performance. Nothing sticks in your head quite like a catchy slogan. Create one with a tune in mind and ask friends and family if it sounds catchy enough. Come up with a few options and have your friends vote for their favorite one before taking it to the rest of your peers. If you can, give away goodies that promote you as prom king. These can include pins, shirts, socks, and baked goodies. These should have your face, name, or slogan on them to remind people who to vote for. Be sure to check in with your school before doing so as some will have rules against this. To achieve this noble status in your school, you must have a certain act, style, and look. Beyond that, you must not only fit the mold but make the mold fit you. In a large school, many young men will have what it takes to earn a nomination. To win, you need to have all of the necessary traits and attributes. Volunteer for a local Habitat for Humanity or humane society. The ideal candidate has specific goals and can discuss them with the school community. Have a list of potential colleges ready; be willing to discuss your career goals with any potential voters. Have a variety of friends in different social circles. Be acquainted with a variety of individuals. In addition to the above qualities and behaviors, a worthy candidate has an exemplary academic record. Strive to balance school work, school activities, outside activities, and your social life, and always remember that your grades take priority over everything-even winning! Recruit friends and family members to assist in making posters and banners. Ask friends of different social groups to promote you to their friends and acquaintances. Put signs on your car and locker. A positive attitude is your greatest asset. A friendly nod to strangers and a smile on your face will show students you are considerate and friendly. If you doubt your ability to win, so will others. The nomination process generally differs from school to school. Usually, students vote for their favorite individuals. All top winners become part of the prom court, and then only court members are eligible to become prom king and queen. Along with the regal glory of prom kingship, there are also challenges. Balancing school work, family life, social pressures, and extracurricular activities are your biggest challenge. You need to be organized and prompt. Don't forget small obstacles, either: Will your tux be ready on time? What if the elected prom queen is not your girlfriend? Be ready to handle these issues in a calm, suave manner. Don't forget to stay safe throughout your social campaigning. Never drink and drive and always encourage safe behavior in others. With your organizational skills and extracurricular activities planned around your campaign, you're on the road to becoming the king!